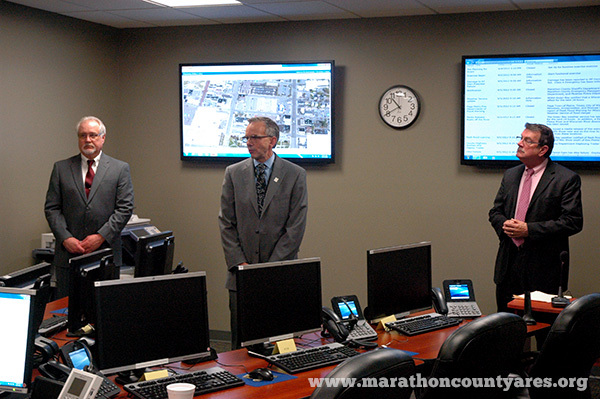 Marathon County Emergency Manager Steve Hagman (left) looks on while County Administrator Brad Karger (center) and Wausau Mayor Jim Tipple (right) give their remarks during the dedication. 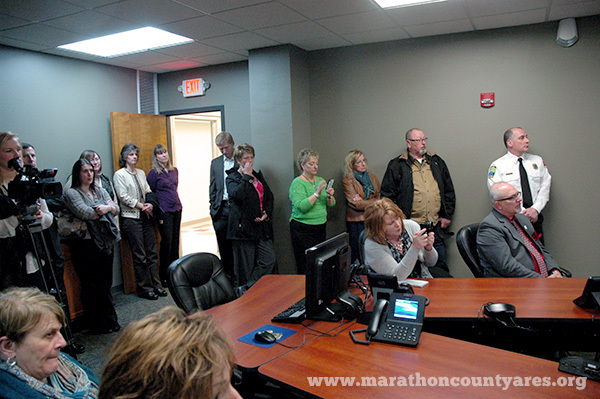 The new Emergency Operations Center (EOC) for Marathon County, WI was dedicated on Wednesday April 17, 2013. Located in the basement of the Wausau City Hall, the EOC is designed to help manage the response for natural disasters, severe weather, multi unit response fires, and large scale public events. Media, city and county employees, and the public attending the dedication. Wausau Mayor Jim Tipple, Marathon County Administrator Brad Karger and Marathon County Emergency Management Director Steve Hagman hosted a dedication ceremony Wednesday for the new $75,000 center, followed by an open house for the general public. 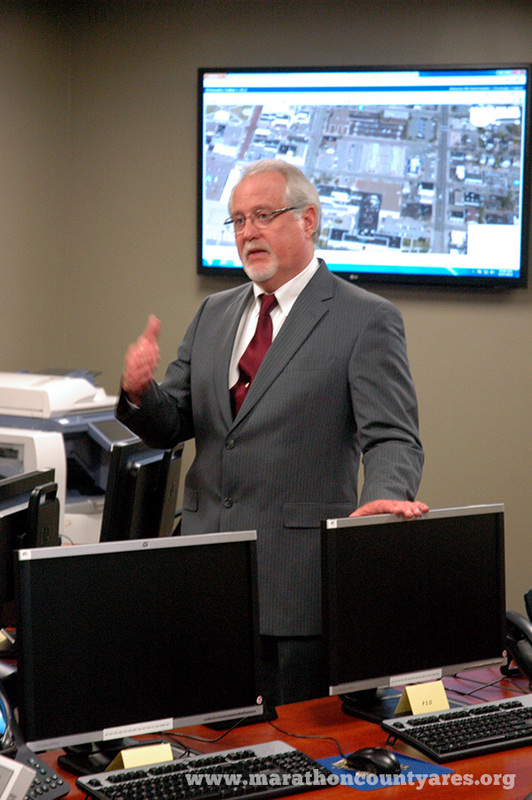 Hagman said planning for the Emergency Operation Center, which was paid for through a combination of state grants and county funds, began about a year ago. Marathon County ARES/RACES will have a permament spot with communication equipment in the new EOC.